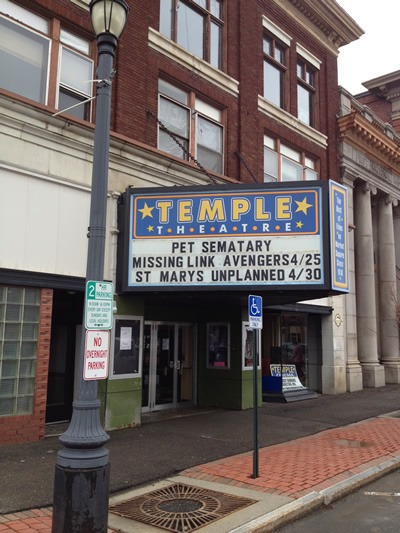 The anchor of the historic Houlton downtown district, the Temple Cinema offers the latest first-run films in a nostalgic atmosphere. Enjoy big screen, family fun five days a week. Wednesday night is Free Popcorn when you bring your own bowl. We have capability for video projection, so keep us in mind for birthdays, business, or other functions.